Originally published in Renovate It! Any way you slice it, toast makes the most of any loaf. But which of these worthy appliances will make toast of the competition? What's the greatest thing since sliced bread? The toaster, of course. 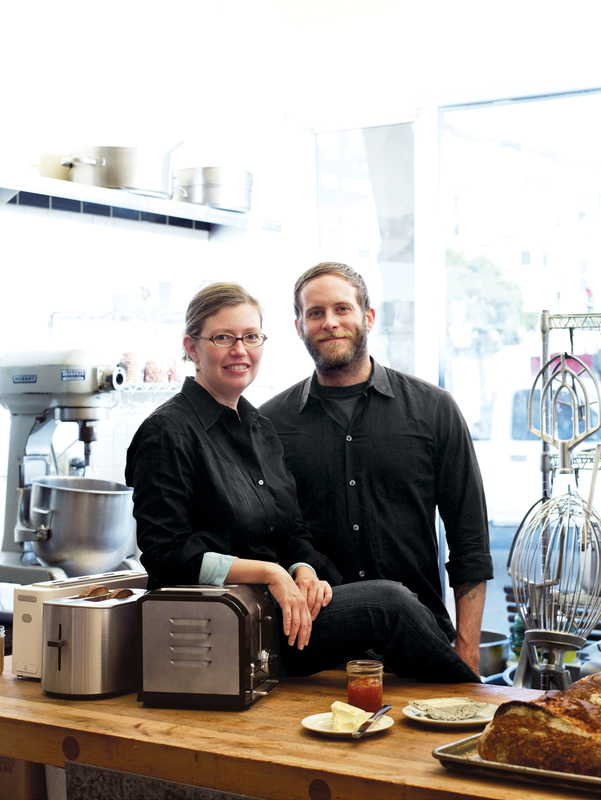 Chad Robertson and Elisabeth Prueitt of Tartine Bakery and Bar Tartine in San Francisco help us decide which toasters are worthy of browning their illustrious loaves. San Francisco’s Tartine Bakery is as renowned for its gateaux and gamine waitstaff as for the queue that invariably snakes outside the bakery and down the sidewalk. On weekends, patrons swarm, anxiously awaiting a seat in the jam-packed eatery, praying to benevolent brioche gods that the last almond croissant has not been sold. Sadly, if you arrive past noon, it likely has been. a better duo to judge the merits of these five toasters or, as we prefer to call them, tartinerators. Award-winning bakers Elisabeth Prueitt and Chad Robertson met in 1992 and married in 1994.